Within eight weeks of development, we had a beta out to some of our customers. nClouds helped us meet and exceed the aggressive timelines we’d set. Cars. Electronic devices. Motors. Planes. Roads. Space exploration. Structures. All built by engineers. And our world evolves through the continuous innovation of engineers. But what happens when engineers can’t access the compute power and software resources that they need to experiment, simulate, and pursue new breakthroughs in their respective fields? The world may keep spinning, but a lot of the innovation that powers our world slows down. And a lot of problems are left unsolved. The biggest bottlenecks keeping many engineers from breakthrough designs and industry disruption are traditional licensing models and hardware costs, which can prevent startups and global corporations alike to run simulations quickly and at optimal scale. With its new Solver-as-a-Service platform, OnScale hopes to change the way engineers across disciplines access the resources they need. “The more power you can give an engineer, the more complex problems they’ll solve,” says Gerry Harvey, vice president of engineering at OnScale. Prior to moving to AWS, OnScale ran similarly to other CAE companies. “We had a fixed license for a given computer or a floating license to use on a network. Basically, the power of the solution was limited to the hardware that you had available to you,” says Robbie Banks, vice president of product at OnScale. Soon, the concept for OnScale’s Solver-as-a-Service platform was born. 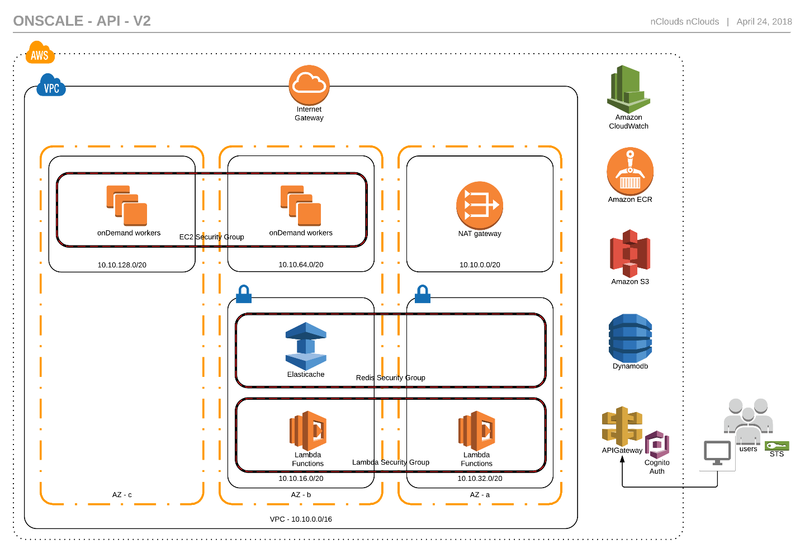 But while the team fostered a unique and clear vision of the solution they wanted to provide customers, they needed help executing their vision of taking their current infrastructure and migrating to AWS. For re-architecting, migration, and implementation expertise on AWS, OnScale turned to the experts at nClouds. How Does OnScale Run on AWS? nClouds' focus was to migrate OnScale's Solver to AWS. OnScale provided the various executables for different types of simulations that can run. nClouds reviewed the executables and determined that the best path would be to build all those capabilities into a Docker container that could easily execute in the cloud. Thus, the same solver that clients were running on their laptops could be used on AWS cloud instances, but with massively more compute power. After the container was built and tested, it was a matter of linking OnScale's desktop application to the newly created cloud capabilities. Security is the top priority for the OnScale team. OnScale uses Amazon Cognito for user authentication and the AWS Security Token Service (STS) to create temporary credentials for trusted users. OnScale uses AWS data encryption schemas to encrypt data while in transit via SSL with 256-bit AES encryption. Data is also encrypted when stored in private buckets on S3. At no point is sensitive customer data decrypted during transfer or storage. Simulation jobs run in private, closed containers that are inaccessible outside of AWS with hardware-level encryption. Encryption key management is provided by AWS Key Management System (KMS). Encryption keys are created locally when a user first authenticates OnScale on his or her local machine. Keys are never shared with OnScale. The team is grateful for the AWS migration, DevOps, and security expertise that nClouds brought to the engagement. “It would have been a much longer process for us to develop our architecture on AWS without a partner like nClouds,” says Harvey. “You need cloud engineers to engineer on the cloud and we didn’t have that capability ourselves. My feeling is, left to our own devices, it would’ve taken us at least 3 - 4x the time to get to a workable solution and there would’ve still been an element of greenness on our part, like were we actually using services correctly on the backend, for instance? nClouds has been integral in helping us along the way to solve problems and understand how to optimize our use of different services.” “Our AWS account manager had nothing but glowing things to say about nClouds, and I have to say, he was right in his evaluations of their abilities to help us,” adds Banks. 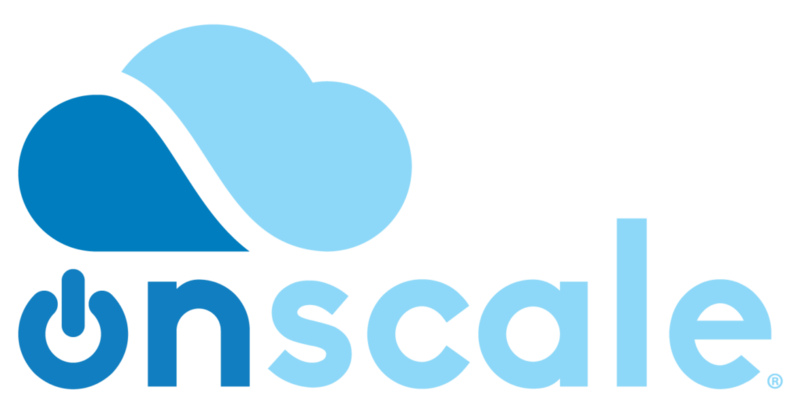 OnScale’s SaaS platform on AWS is now generally available. Click here to learn more. Learn more about DevOps and AWS.